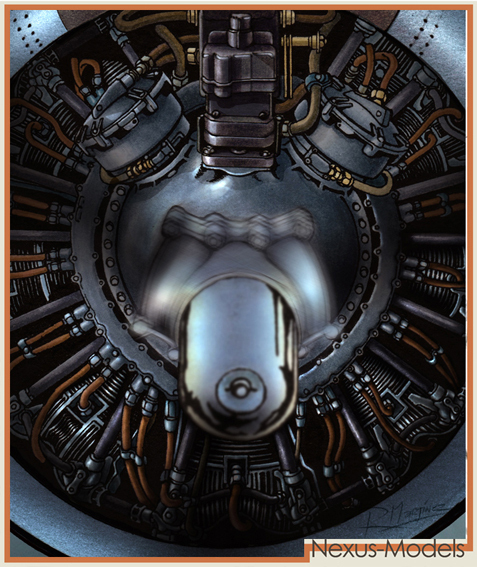 The Enemy is a Pacific Theater Sci-Fi comic short story I have been working for years. 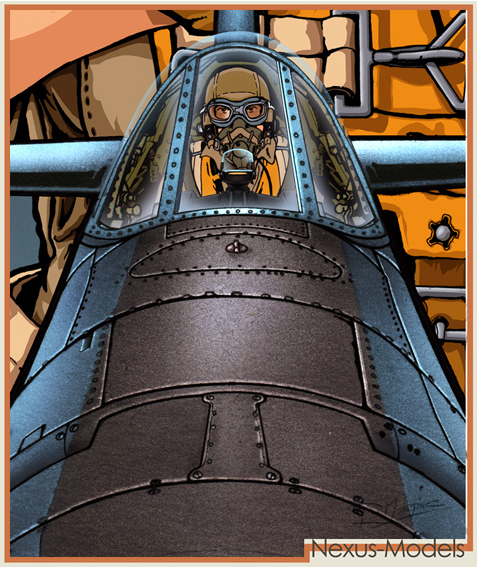 The second F4U-1D Corsair illustration was conceived for the cover of the first chapter of “The Enemy”. The idea of drawing a Corsair attacking head on allowed me to draw the Pratt & Whitney R2800 double wasp engine in full detail. 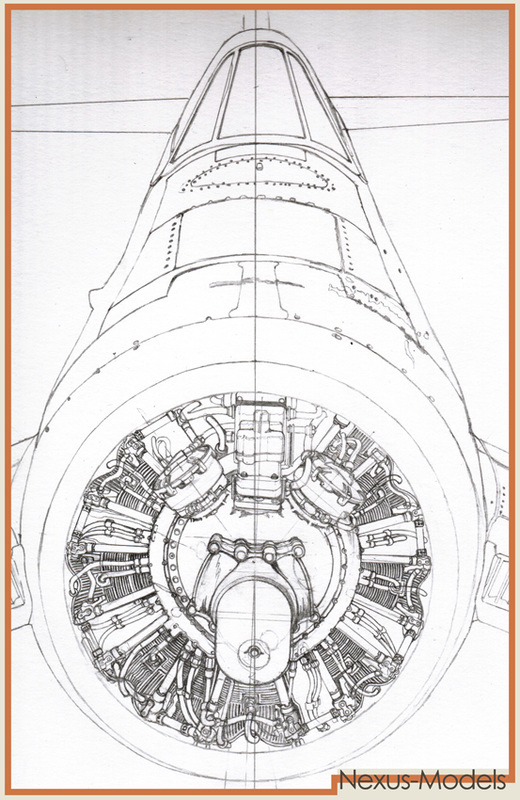 For the drawing of this engine I bought several “walkaraound” aviation books. Unfortunately, the Corsair books lacked sufficient information on the engine itself so I bought books from other Second World War aircraft that used the same engine, like the Grumman F6F Hellcat and Grumman TBM Avenger torpedo bomber. 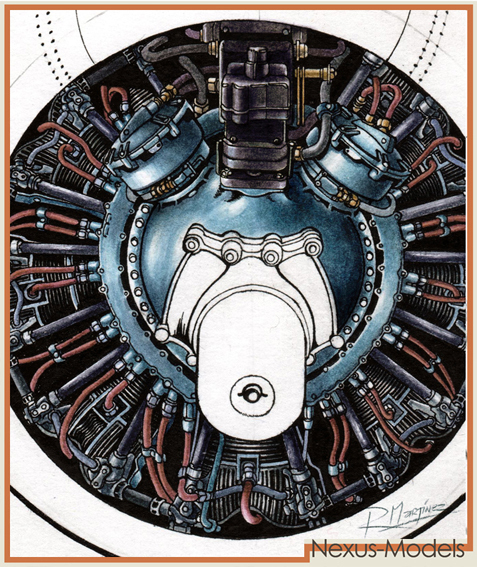 This first drawing allowed me to understand the parts and the functionality of the radial piston engines, what encouraged me to do another Corsair Illustration, this time, with a clearer understanding of the space used by the two stars of 9 cylinders each. The pictures above show the steps of the engine coloring. It started with inking the drawing and coloring it with brushes and water based inks. Then it was scanned and given some touches of digital effects and coloring. I airbrushed the fuselage and scanned it. The pilot and canopy are digital 100%, except the drawing.